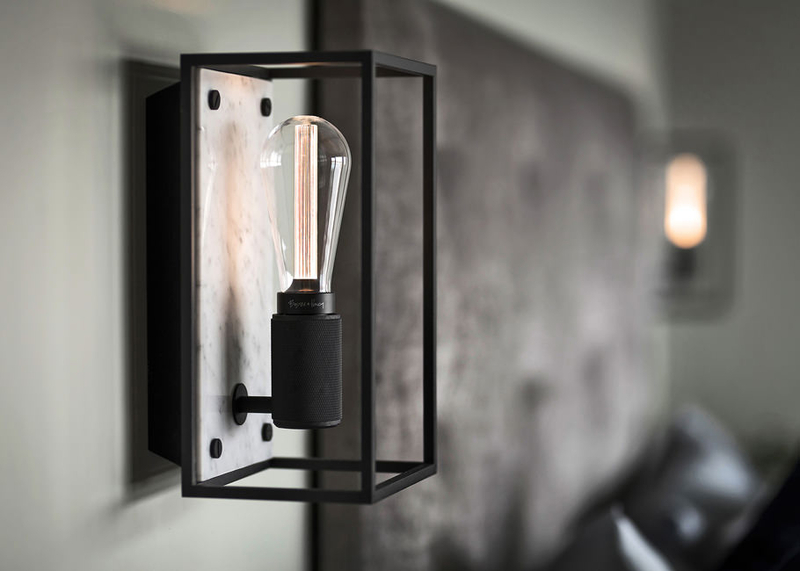 CAGED is a new collection of architecturally-designed, modular lighting solutions inspired by the city of London’s steel skyline. 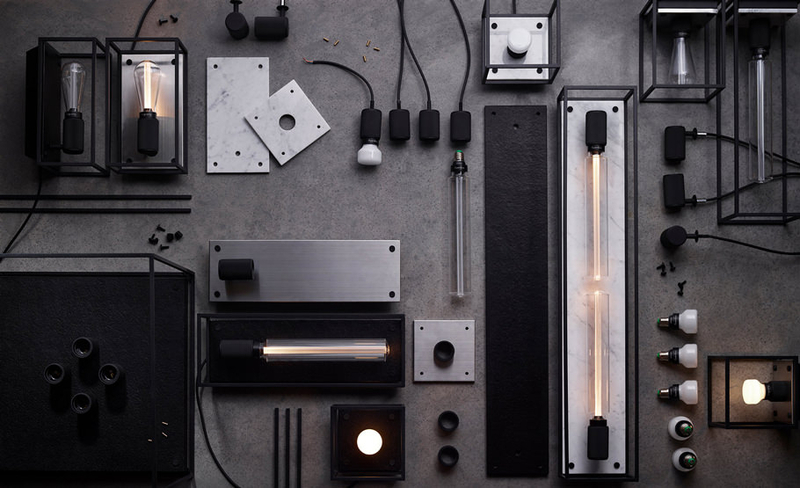 The concept takes the simple box light design and transforms it into extraordinary building blocks. 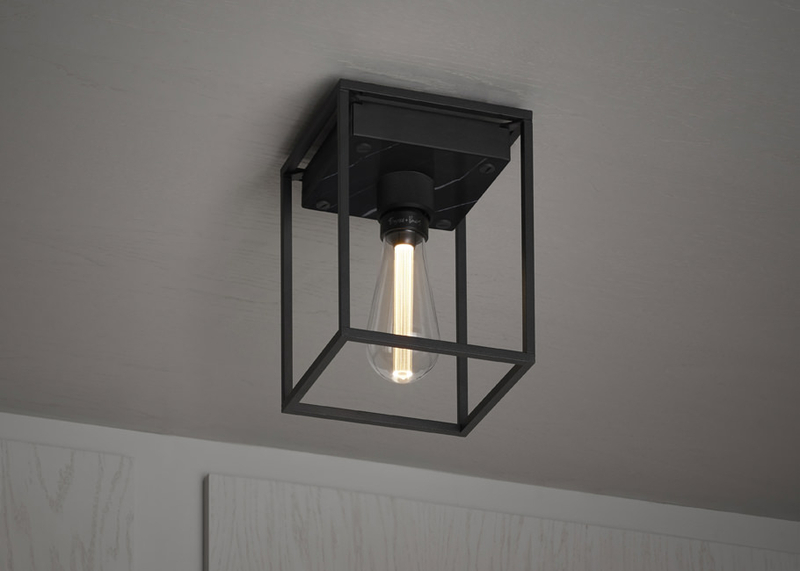 Buster + Punch-patented LED technology is framed by the graphic outline of a solid matt black steel cage, creating CAGED. 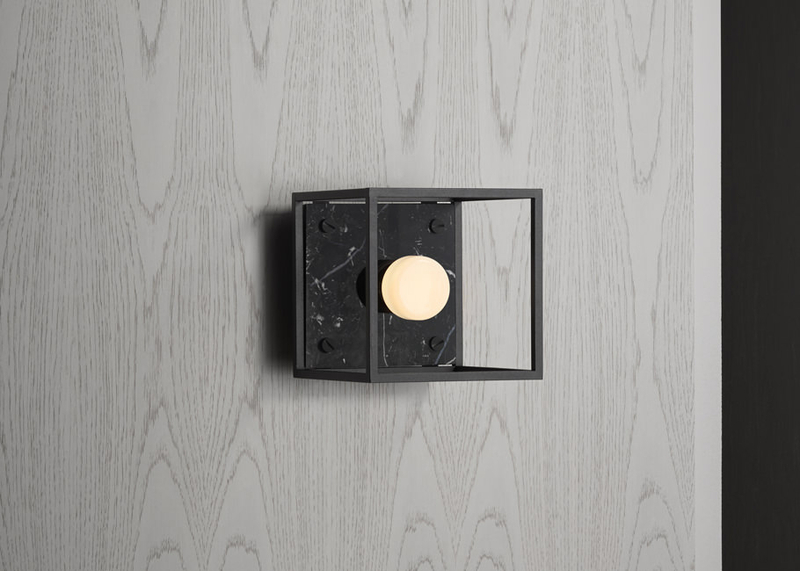 The light is finished with a matt black knurled lamp holder and signature Buster + Punch matt black penny buttons. 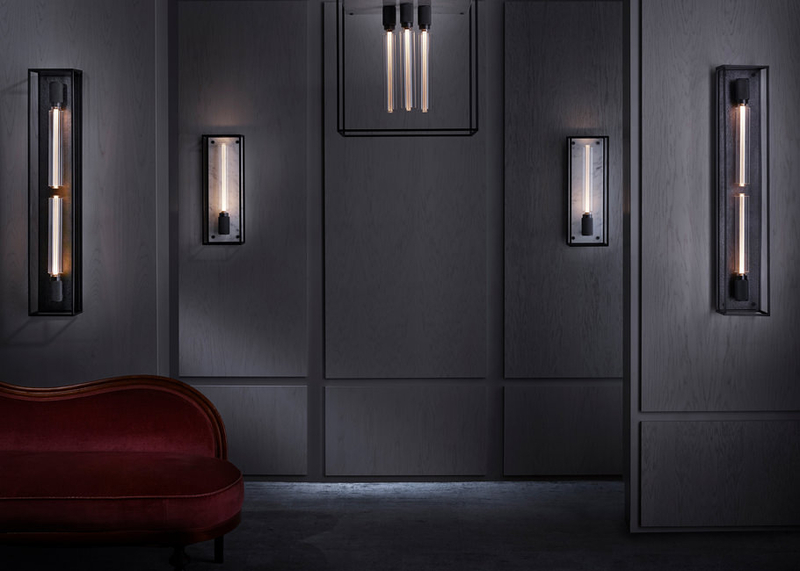 The modular lighting collection has been designed with customisation in mind – to be hung in a linear procession, as a cluster, at staggered heights, or to create a dramatic chandelier on a massive scale. 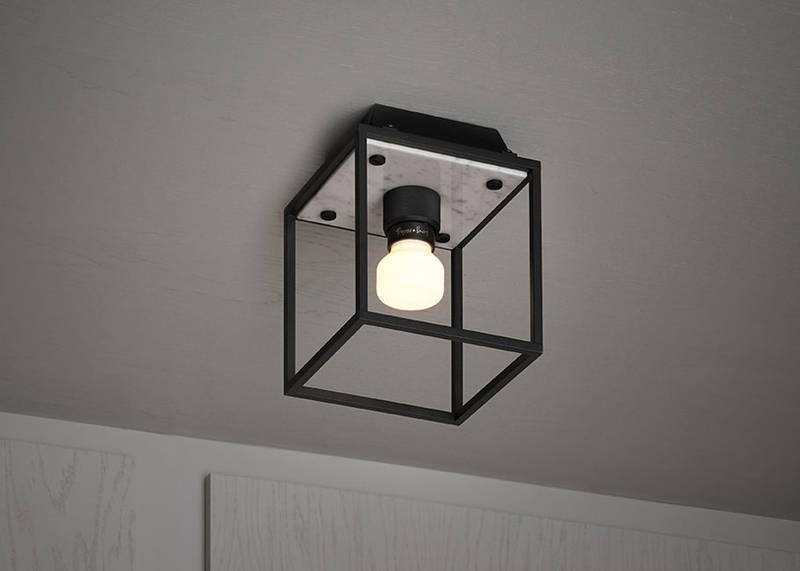 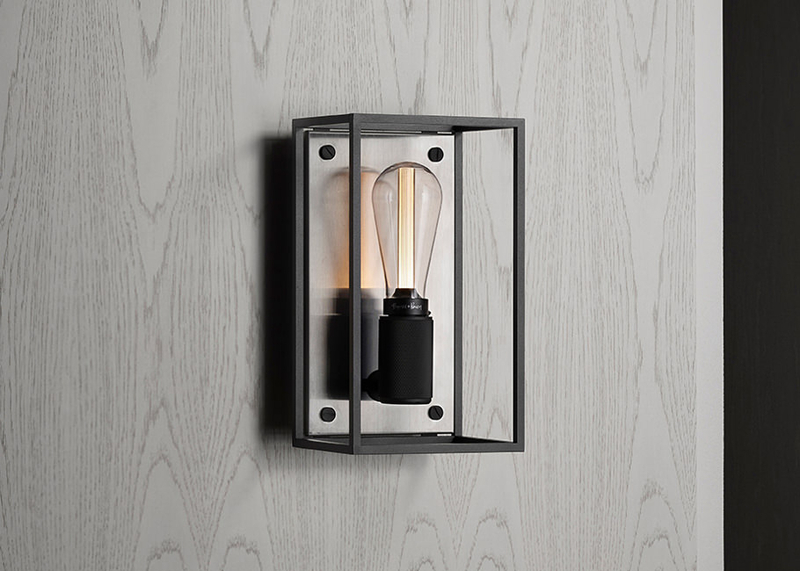 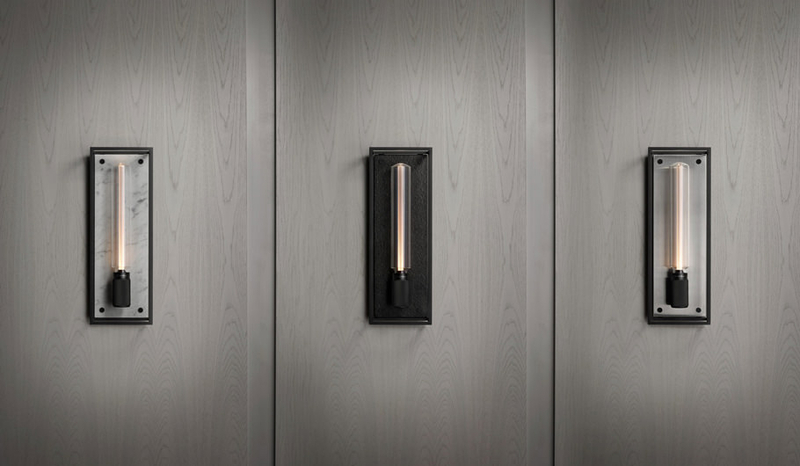 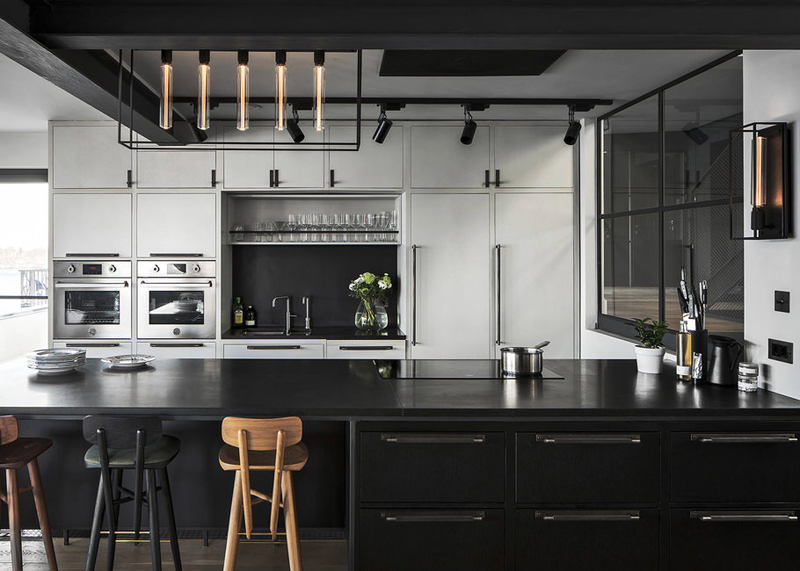 Comprised of eight interchangeable modular wall and ceiling lights options, CAGED can be further tailored to express personality within the home or in a commercial space, with a first edition of back panel options available in – Flamed Black Granite, Polished White Marble, Brushed Steel and Satin Black Marble.The eco-friendly light is powered by a dimmable 5W warm-white LED, resulting in a flattering ambient light and is designed to last for more than 27 years (based on 3hrs/day).